Chapel Cottage01263 715779work01603 870304fax Self-cateringThis stylish property has access to the owner's grounds which includes a beautiful flower garden. Offering spacious and comfortable living space, this property is equipped with modern utilities and is tastefully decorated, providing a relaxing stay. Guests can enjoy long walks or bike rides along the many paths that interweave throughout the countryside, or take a trip down to the nearest sandy beach. 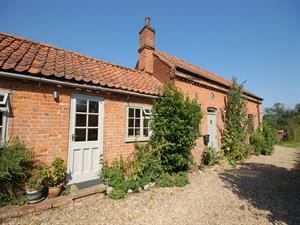 Chapel Cottage offers weekly bookings starting on Saturday. This stylish property has access to the owner's grounds which includes a beautiful flower garden. Offering spacious and comfortable living space, this property is equipped with modern utilities and is tastefully decorated, providing a relaxing stay. Guests can enjoy long walks or bike rides along the many paths that interweave throughout the countryside, or take a trip down to the nearest sandy beach.